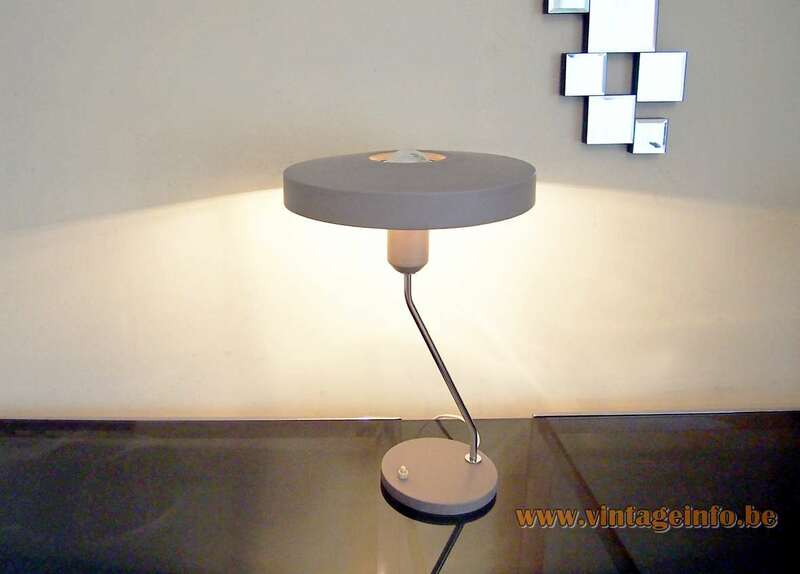 Materials: Grey/silver painted aluminium mushroom lampshade with a whole in the middle. Chromed folded brass rod and parts. 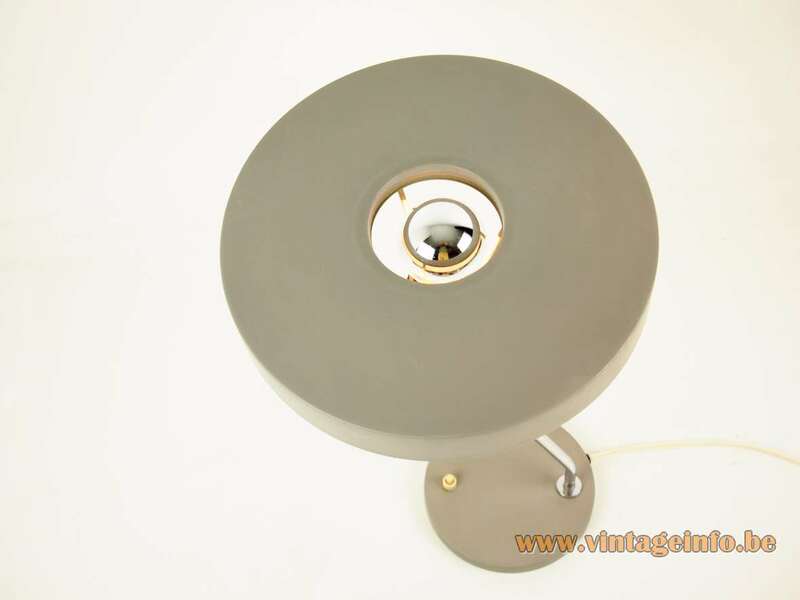 Cast iron counterweight inside the round grey painted base. 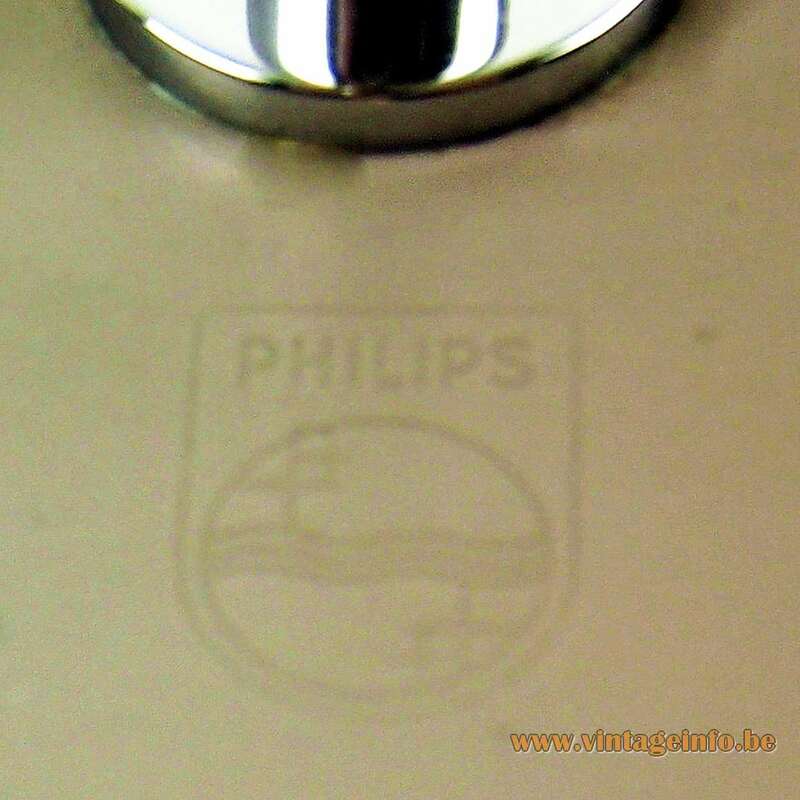 Philips logo stamped in the base. Bakelite socket. 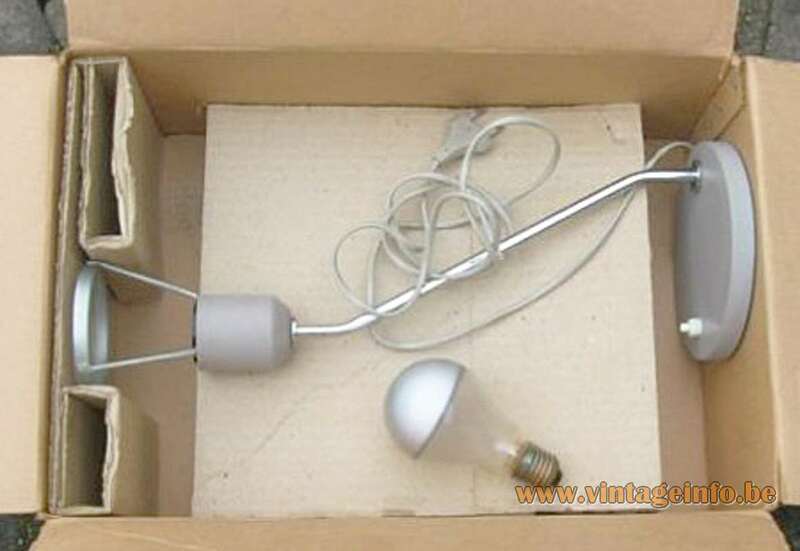 Any type of light bulb with an E27 socket can be used. 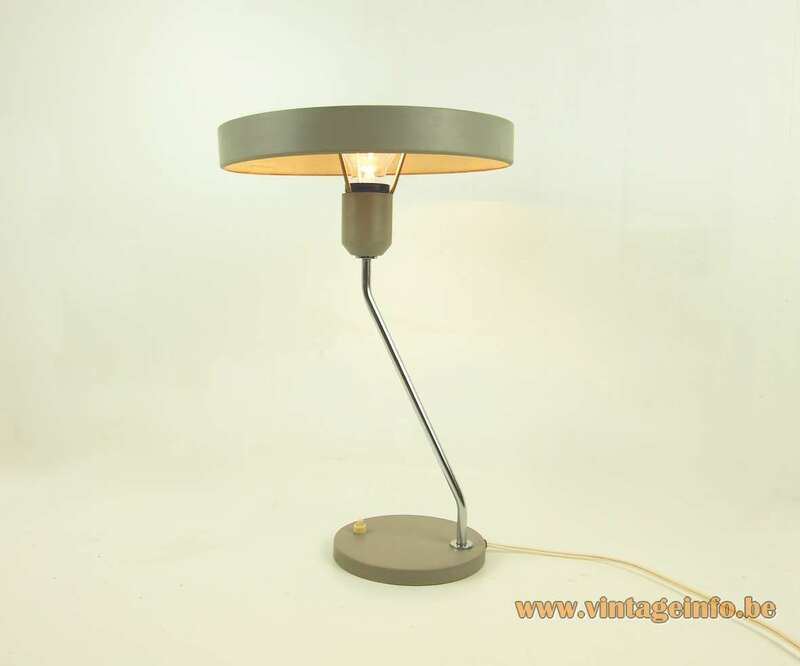 For this lamp preferable a silver bowl/cap light bulb for the down-light effect. 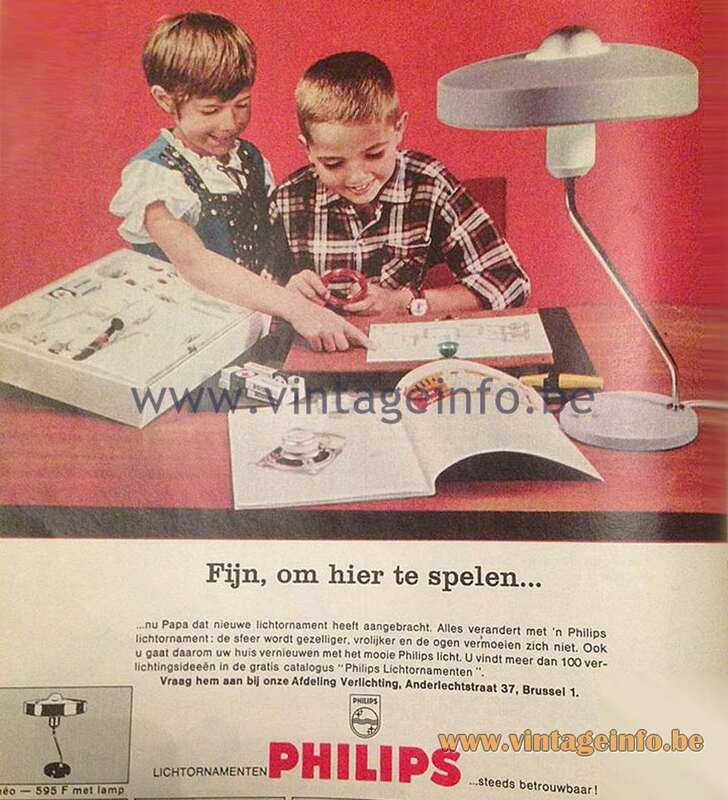 Designer: The Philips design team. 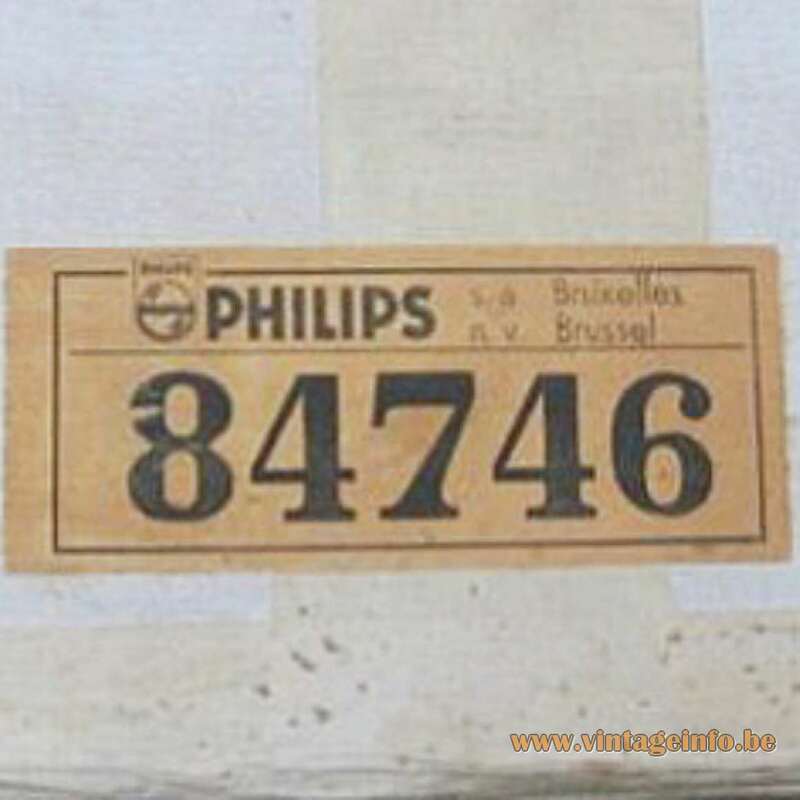 Manufacturer: S.A. Philips N.V., Brussels, Belgium. 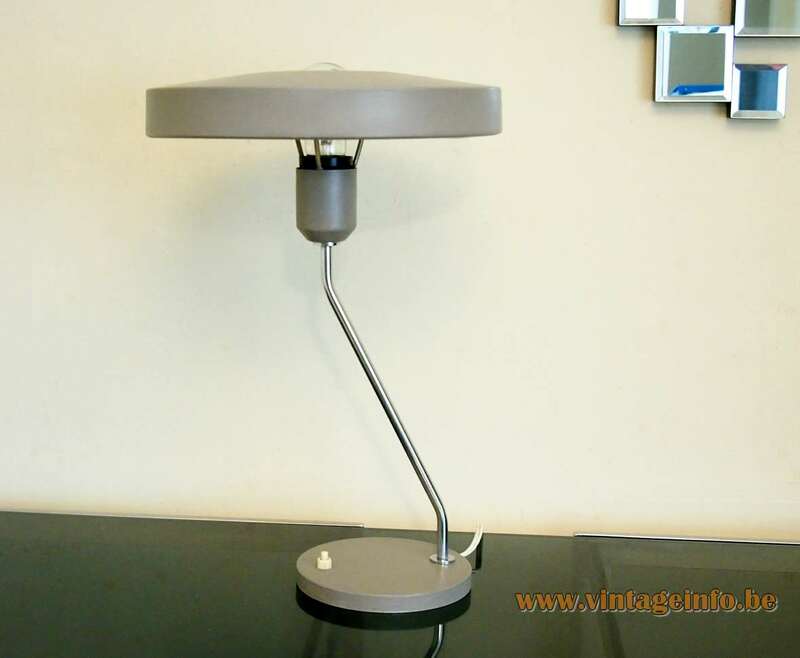 Other versions: Slight differences in the lampshade, rod and base. Many different colors. 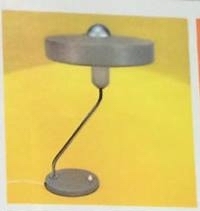 Often named z-lamp, because of the folded rod. 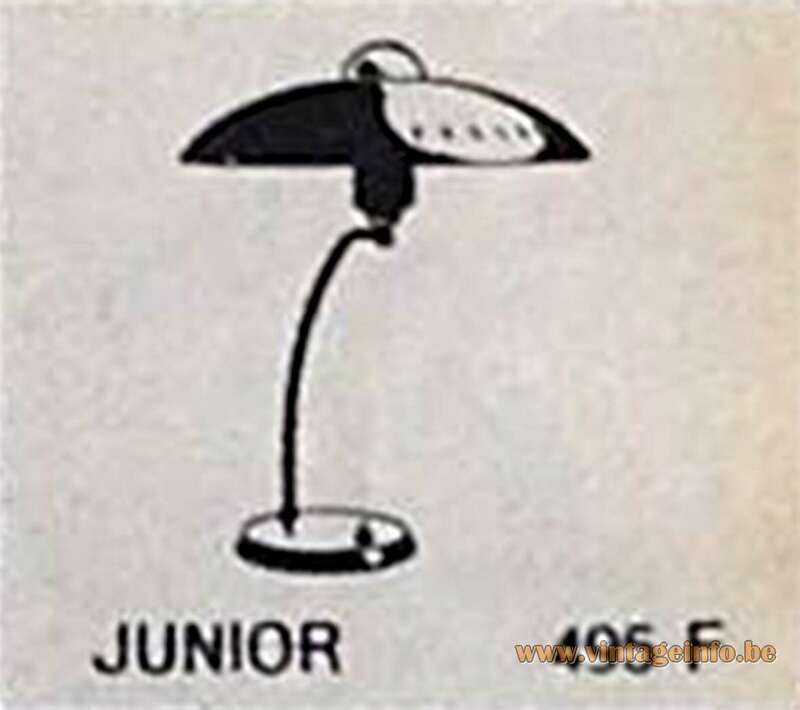 Several other Philips lamps are named Z-lamps, but they all have a different name. 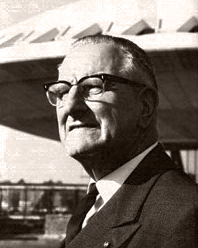 They were never named Z-lamps by Louis Kalff or Philips. 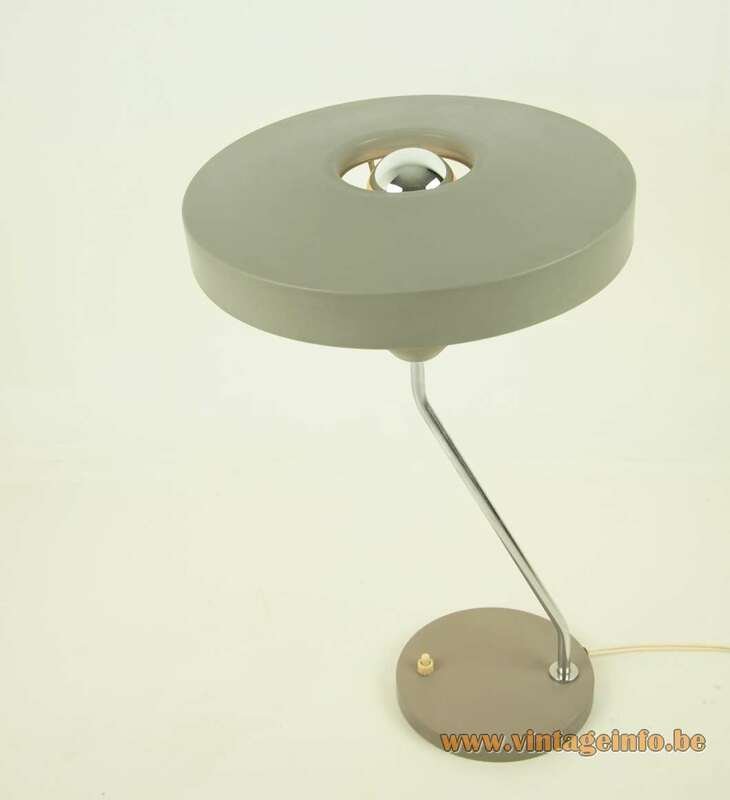 This lamp is based on a design by Louis Kalff from the 1950s, the Junior desk lamp, as you can see below. 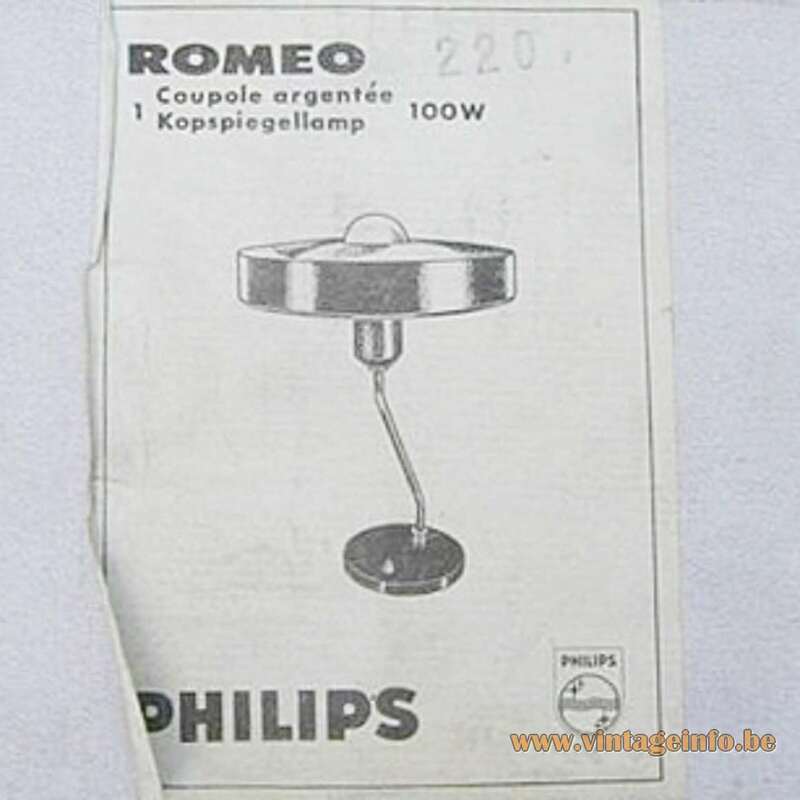 The Philips Romeo desk lamp was used as a prop in the “cyberpunk action body horror” film Upgrade from 2018. A futuristic thriller with Logan Marshall-Green.